I’m fond of collecting old coins and when the government changes the country’s coin I see to it that I save some of the coins before it all comes back to the government. This hobby started when Mom gave me an old coin dated back to late sixties and early seventies. I was really excited when I first saw my Mom’s collections. Back then I was collecting international stamps, song books, stationeries and a lot more. Now the only collections I choose to retain are my coins. Some people are rounding up the streets to buy broken jewelries and coax me to Sell Gold Coins but I always refused to sell my collection no matter how high they want to buy it. It’s priceless to me. Well some collectors do it for investment as coins do appreciates value but I know some won’t even think of it. For those who want to Sell Gold they can visit refinity.com where your gold coins will be bought at the best price. By doing so you will not only make cash out of your gold coins but you also help them protect the planet. Refinity.com is an eco-friendly company that refines gold coins for other usage. It reduces the risk of environment hazard. For other collections they also buy precious metal and encouraging those who want to Sell Jewelry. Some people changes jewelries if they run out of fashion or with broken chains. Sometimes our style changes and it’s a good thing that we can sell it at a good price. Well for whatever purpose or reason you can make money out of it and invest on some tangible things again. Visit their site now and make the most of your old collections. This is all true but I'm temperamental, I'm just good at hiding an controlling it. Since I became a born-again christian I've been fighting for my temper. I'm a joyful and very friendly person but when someone betrayed me my temper needs to be controlled. Our house needs general cleaning and inventory of furniture, books and many old things from the past. It was a renovated ancestral house so it contains all the old documents, paintings and every little thing that remained from the past. To do all cleaning and sorting out I think I’ll a week or two because I can’t do it on a full time basis as I have my work too. I’ll be doing what I’ve done when I resigned from my job. I bought some printed boxes and put all the past years’ important documents and labeled each box I’ve completed for easy handling and storage. Well when it comes to sorting things up I can be depended upon. My friend and parent president for the graduating class of SJES dropped by the house and showed me the venue pictures she found for us to hire. It’s just one village away from the school and the fee is so low. The place is big enough for 500 persons which includes students and parents/guardians. The gymnasium which was used by the previous graduates was now being occupied by the victims of the big flood and they still live there so that left us with no choice but to find a big place for the event. The school’s new stage and ground can’t accommodate the needed 500 plus seats so Janet has to secure another place. We’ll just wait for the fixed graduation date to keep things moving. Meanwhile Janet has already reserved the last week of March then we’ll set a meeting for the whole PTA graduation officers and that’s it! I posted on my other blog a picture of my little boy when he’s barely two years old and we joked him about it. We asked him if it’s his little brother and he answered that it’s him when he’s still fairer because now he’s getting darker because of too much playing around the compound. Since yesterday I coax him into sleeping in the afternoon instead of playing as he can play after the intense afternoon heat is over. At first I will make him sit beside me and tell him stories that I know he would like hearing and when he’s into my bait I will make him sleep. When we were having breakfast with hubby he told us that it would be fun if he has a little brother so he has someone to play with when her sisters are in the school. Josh is already schooling but his school hours are limited to two hours only and he misses his sisters when he gets home. When I have no rush with my tasks we go to a small shopping malls a few kilometers away and just go around there, shop and eat. When Josh talks about having a little brother I remember how exciting, fun and at the same time hard to be pregnant. I was a working Mom then so I can’t give in to the usual siesta sleeping in the afternoon. What I like when I’m pregnant are the pretty maternity clothes my husband is buying for me. He really makes time to help me choose my clothes because I do need it for my office clothes. Unlike stay-at-home Moms I have to look formal enough even when pregnant though at times it’s fine to be casual. Choosing the right color and style was an exciting task because there are several maternity dresses that’s good for specific occasions and usage. The only thing that I have to remind myself is style, comfort and fit for working. All maternity clothes I have are dresses and all are comfortable enough to work and travel. When I’m surfing around I get to see good sites for maternity lines for women. Most are offering maternity clothing like the Apple Seed Boutique which offers stylish and chic maternity clothes for fashionable Mom and children’s clothing. They also have gifts for mom and baby, diaper bags, organic skincare and many more. Visit the boutique and see their stylish maternity lines. :RT/WW - Super Grand Mom! I want to share a pic of my Mom and Josh on our way to my niece' birthday. This was 4 years ago when Mom takes care of my little boy while I'm working in BT&T. I just felt so happy that Mom has taken care of my two bigger daughters and my little boy when I was not yet ready to leave my work then. She has given all her time and attention watching over Josh all day and spending all her time and efforts to him. She taught him many things, she's a retired elementary teacher that's why she's very capable of honing Josh learning capabilities. Josh didn't want to write anything then, they just spent the day talking to each other and from there Josh learned many things. He's got a super Grand Mom. Josh has some cough and I started to monitor again his intake of ascorbic acid, cough syrup and anti-bacterial. He’s very active in the house playing, reading, writing, coloring his books and many other things he chose to do so I monitor the time he should be taking his medicines. Proper food, enough rest and right medicines should be administered to kids like him to ensure fast recovery from sickness. I don’t want him to be in a hospital so I’m taking good care of him at the early stage of sickness. Hospitalization can also cost further expenses except if you have health card or insurance like that of Blue Cross NC health plans. Anyway he doesn’t look sick at all as he’s the same lil boy who’s so funny and full of stories to tell. 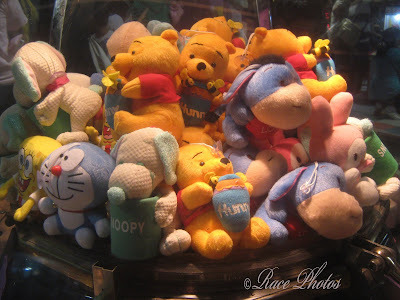 These are cuddly stuffed toys in SM North Edsa's Quantum arcade where my kids love to play while waiting for their Dad to log out from work on some occasions that we're there. These toys were so hard to get but some of hubby's officemate come to know the technique and proper timing to pick these toys. So far we have almost near a dozen of these kinds and my kids love them all! I’ve resigned from my job middle of last year because of my family’s immediate need for my time and attention. When I received a small amount of separation money from my sixteen years of service to the company I thought of good business plans or some form of investment to add to my freelance writing job. Of course I wouldn’t want my hard earned separation money to be put to waste if I invest to good that depreciates value. It’s easy to invest but it needs a careful planning and study of the flow of stocks and economy. Because my work is always online I came to browse US Gold Bureau which offers a tangible asset of investments which are gold, silver and platinum. These precious metals can be relied upon to increase its value over the years so I guess it’s time to buy gold bullion now because it’s the perfect investment in time for the dwindling economy we have these days. Visit their site and see their products. 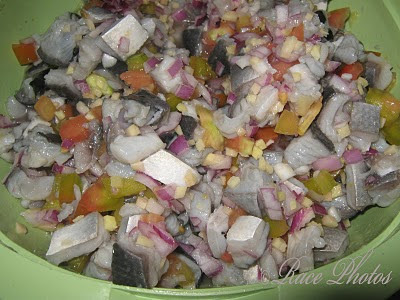 To have this (1) you need milkfish fillet cut into cubes and soaked in vinegar to cook the meat, you don't need to put milkfish on fire just set aside. Then (2) mix small cuts of tomatoes, onions, garlic, ginger, dash of pepper, pinch of sat, small chili pepper (optional) and MSG (optional). After the milkfish turned pale from soaking in vinegar it's considered as cooked already and you can mix it with the spices' mixture done in step #2. (3) Pour vinegar to the final mixture, add the salted eggs and taste it for additional spices or salt. It's now ready for your sumptous meal! See it's very easy to prepare and it's so good I've done it myself in my own kitchen. I’ll be dropping by my daughters’ school later in the afternoon to watch the crowning of Ms. San Juan, a fundraising campaign of the school for their big project in school. I was quite impressed with the one who thought about this contest as you only have to donate one peso coin to your chosen candidate. It’s the minimum donation or contribution and it could be higher than that. There’s no maximum amount as to how many you want to give the candidate and the PTA officers added up a talent portion to make the contest not just a money contest. Anyway I’ll just peek at the contest later because I was invited by some of the officers there and my kids wanted to watch the coronation also. They were not allowed by us to stay in school after 6pm and I have to be there for them. I would be seeing some of my Mommy friends there and as always we’ll talk about kids, their grades, the candidate for honors on March and some other personal Mom concerns about cooking, dieting, weight loss products, beauty tips, work, business and many more. If you see us in group you’ll be amazed at how we can laugh our worries and problems away. Anyway it’s how you carry it that matters! I passed by a gym workout near to where I have some errands on payment. I’m just surprised at some of the people there who spend several hours of workout exercises without feeling weak. I would also want to spend some time there even on the simple workout machines there but I really don’t have the time. Well I know the benefits of gym exercises because I have witnessed how my office friend’s fat turned to good muscles when she enrolled for six months. She’s on the brink of giving up because she’s too fat to be a bridesmaid and the wedding was just a few months away. I have monitored her change in eating habits which was demanded by her trainor. She lost her excess pounds in time for the wedding and her body became firm and fit. She told us that some people in the gym always have the stamina to last longer than the required time. I wonder if they’re taking No-Xplode drink mix and if there are no xplode side effects on them. Well I wouldn’t have the chance to know it because my friend is not there anymore. I was sad when I learned that my cousin’s hubby has already died. I was informed last year that he was found suffering with colon cancer and I was surprised because he seems to be a very healthy guy. He has no vices, he eats well and good, he’s not overworked and he’s very careful with his way of life. Even my cousin was shocked with the doctor’s finding but I guess we can’t always determine by mere pure sight if the person is sick. They have two kids and one of them is my godson, they’ve raised their kids with good breeding and education on their food business. They’ve worked hand in hand and they’re inseparables which made the parting difficult for my cousin. It was too soon for her and she’s always teary eyed when she remembers her husband. She told me that she never had a chance to learn the benefits of colon cleansing I’ve been telling them about because he died sooner than their expected time. I told her we all have our own time and mission in this world and I know it’s his time to leave the world and his sickness was just a mere medium to have a reason for his death. We’re experiencing super hot afternoons and I’ve advised the oldies here not to go out frequently after 10 in the morning until 3 in the afternoon because the effect could be hazard to their health. Many senior citizens in our place suddenly experienced strong headache and high blood pressure. I’m just relieved that I’m on the low blood pressure side as I’m the one who’s always on the go and I can’t afford it if I’ll be experiencing ill feeling. 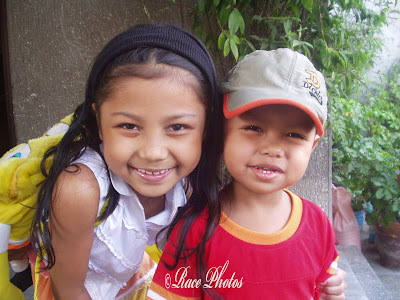 I have plenty of offline duties with my kids’ school activities and household chores. To add to these tasks I have tons of online tasks to finish. I’m wondering if I still have to look for the best weight loss product now that my activities seems to surpass my exercise sweating lol! Now I can see these activities as a big advantage on my weight loss don’t you think? Just love Gen's smile here just like Mr. Gardenia's happy smile. 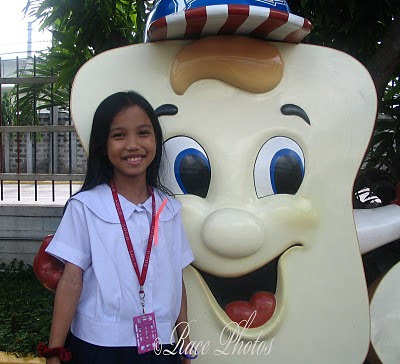 Someone has said something funny here about the stone statue of the yummy bread that suddenly Gen broke into a smile, good thing for her souvenir pic here. Just one of our itinerary on their last school year's field trip. I love our stay there at the factory of Gardenia where you can smell the good taste of Gardenia every where mmm yummy! Got another entry here! For more RT and WW entries just click on the badge! I’ve done with marketing for our foods and I’ve bought plenty of fruits for my healthy diet. I don’t skip meals but I always eat two to three kinds of fruits during lunch and dinner. It makes me feel satisfied and full so I don’t have to take more rice and other foods. I’m doing this healthy meal plan for my health because nowadays sickness are everywhere and one way to combat sickness is to maintain a good diet meal plan which consist mostly of fruits and vegetables. Hope I’ll be able to maintain this meal plan so I don’t have to use the fat burner for women pills my friend is recommending me. I just need a real discipline and patience. This month which started as a very cold month suddenly starts to give out hotter days. It’s still cold sometimes in the night and dawn but the varying change of temperature makes us all prone to sickness. I maintained my kids’ intake of ascorbic acid to protect them from getting sick and I’m glad it’s working on them. They like the chewable type because they can take it easily even while mobile. I also convinced DH to take his ascorbic acid everyday because I’ve noticed that he’s getting colds and cough very often now. I’m just glad that taking care of my family when they’re sick doesn’t make me sick also. Maybe it’s my natural ascorbic acid that’s giving me high level of protection. I get it from eating vitamin-enriched fruits and veggies just like when I was pregnant several years ago when I take prenatal vitamins and eat healthy foods like fruit, vegetables and fish to keep me strong and healthy. What Valentine's Day Gift Should You Get? The only thing you want this Valentine's Day is more quality time with your sweetheart. It's as simple as that. You'd trade all the chocolates and stuffed animals in the world to have a cozy, romantic experience together. A couples cooking class, or a couples "anything" really, is the perfect gift for you this year. Not only does it show that your partner cares, it shows that he or she also wants to go forward together. Just the perfect gift for me because I love cooking, if you want to check out the perfect gift for you this valentine try this one! Communication is one of the best things that advanced technology has put their hands on. When telecommunications became so advanced people find it easy to communicate to their family and friends even when they’re on the other part of the globe. Through modern communications people in distant places can communicate instantly through instant messaging. In just few second or minutes you can send your letter or cards unlike in the past where you have to wait for several days before your letter can reach your loved ones abroad. It’s amazing to think that people can easily invent things that would make hard task easier. Like when you want to inform someone of an immediate change of schedule or when you need emergency assistance you only need to send a text message or call wherever you are and everything will be in order. It’s the power of mobile phones, reaching everyone wherever they are. Young and old alike got hooked on mobile phones and each of them have their own preference of brands, model, type and features. It has become a necessity now to own a mobile phone that even our kids have their own for easy communication when they’re out of the house or when they’re in school. I just remind myself not to buy expensive ones for my kids for safety reasons. Before I buy phone I search first for models and features that would fit my requirements. But when I search for the phone that I want to buy I sometimes got hooked on new arrival and stylish mobile phones. Just like the other day when I was searching for a graduation gift for my eldest daughter. Instead of finding a simple phone for Ruth my eyes lingered on iphone accessories and stayed on the site. How can I just passed by and ignore the beautiful accessories displayed on the site. MobileFun has everything you want for your mobile from parts, SIM, accessories, ring tones and many more. You’ll have fun browsing through all the things that you can buy for your phone. I know young girls and boys love accessorizing their phones because it gives them satisfaction seeing their phones in fashion and style. I know they would love seeing this hand-crafted MagnetFlipper iphone case which exudes style and quality. The case offers flexibility features and includes storage for convenience. I have to remind myself that I need to buy an iPhone before I buy the case and the iphone dock which is a nice thing to have because it can be used not just to charge the iphone but the battery pack also. It’s really fun to surf for the things you love and finding a site that offers everything you need for your mobile. With the kind of weather that we have now I just wonder what kind of refreshment will quench our thirst. It's a super hot afternoon (actually the mornings are equally hot too especially after 10am) and I can't eat without fresh summer fruits and refreshing drink. 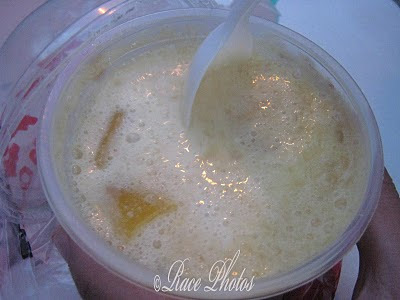 Well this Jollibee Mango Caramel Surprise Ice Craze answers my cravings as it has fruits and it's a very refreshing drink too! Wish I took a shot when it was newly served so you can see the toppings! Some women want to be perfect in their face as well as their bodies but sometimes the quest for physical perfection leads to destruction. I’m referring to the news about a singer who endangered her life because of the unsuccessful surgical operation on the lower part of her body. She slowly discovered that her body has irregularly misshaped after several months of operation and bad thing about it is that it brought her risk of having deadly disease. Although she can sue and file a case about the popular hospital that has done the operation still the damage has been done and she’s a perfect victim. If only she has chosen the right doctor and clinic to do the surgery for her she wouldn’t be so worried about her body. Well in the industry she’s working for majority of the artists need to be good looking so maybe that’s the reason why she had her body subjected to surgical operation. I’ve heard many women dreaming for a body makeover that will bring back or improve the shape of their bodies but they will have to choose good medical centers like plastic surgery Chicago to ensure safe operation and guaranteed results. If they will just choose inexperienced staff and clinics to do it for them they may end up like the female singer I’ve mentioned above. If only she can bring back the time maybe she’ll not do it again. MANILA, Philippines - Malacañang has sought assurance from power distributors that the looming brownouts in Luzon will follow a schedule. Deputy spokesman Gary Olivar said the brownouts that are expected to start early next week should be "predictable" so businesses and households could prepare. "We got assurance from the power sector on this. We should protect essential industries and areas with major population concentration," Olivar said. Olivar meanwhile downplayed the effect of the series of power outages on the country's growth, saying it is not a major threat to the economy. "Right now, I don't get any sense we are looking at a major threat to our growth progress because this is driven by El Nino (dry spell)," he noted. Earlier, power distributor Manila Electric Co. (Meralco) warned of 3-hour long rotating power interruptions in Luzon as major power plants undergo maintenance, resulting in critically low supply. The National Grid Corp. of the Philippines said that the Luzon grid would be placed on "red alert" from February 16 to March 11 due to a projected supply shortfall of at least 500 megawatts. In Mindanao, the dry spell has forced hydroelectric plants to reduce power generation by at least 50% due to low water levels. I’ve worked for six years with telecommunications company and during those years I’ve learned a lot about inbound and outbound call management. The company was involved in both inbound and outbound and we always have a need for equipment to sustain our requirements. We’re not only using it but we’re also into wholesale distribution. That’s part of our many products and services which we provide in line with our usual wholesale termination. Telecommunication is a vast area where you can find and offer specific products depending on the customer needs regarding direct inward dialing, cheap international call access, prepaid international calls, unlimited calling from point to point areas and many others. Well just for outbound call management I know that the best way to deliver good service is through the use of USAN Dialers which provides its customers lower cost of outbound call services through automation. It offers courtesy and predictive dialers which are both very useful to customers when they need to know information and for more high levels of outbound calling. USAN made it possible for Courtesy dialers to provide high technology features which greatly help clients get all the information they need. They can also easily communicate with agents when the need arises. On the other hand they provide Predictive dialer services for those customers who need to manage the quantity of call in ratio with service agents. It’s the right one for call centers who definitely need advanced services and solutions to high operational costs. With their products’ detection features there are no missed calls from the agents as they will be connected to people and not just answering machines. They have a lot of benefits but the most important things are the reduced call-center costs and the superior results in sales. See the butterfly here in action getting ready to sip the nectar of the flower. I love the sight here as I fumbled with my digicam. 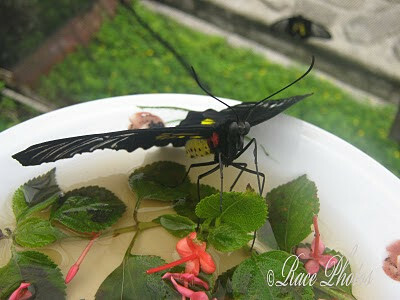 Got lots of pics at different angle but I choose this one as it shows the butterfly slowly aiming at its target lol! Love visiting butterfly garden at Bioresearch! See my other entry here! I love walking and running because it gives me the feeling of being fit and healthy. I used to join walkathon and marathon when I was in my teens and participated in some walk-for-a-cause activities when I graduated from school. As a sporty girl running is one of my best sports aside from playing volleyball, softball, badminton, table tennis and bowling. I was a thin girl then and when I start working and got married I easily gained weight because I stopped doing my sports activities. If only I have plenty of time to get back even to some of my favorite sports I would be slimmer and stronger. Now I can see that there are several kinds of sports gear available in the market unlike in the past that we were contented with just few brands. I’m working online so I always get a chance to browse some store that offer gears to sports enthusiast and I got very interested in San Diego Running Institute that sells runners gear that includes running shoes, shirts, shorts, gels and hydration drinks for a runner’s complete needs when running. They don’t just sell shoes but they also used advanced technology like custom shoe fitting and running mechanics analysis so they can adjust the shoe to the most comfortable usage and prevent running injuries. They will examine, measure your feet and check your gait with your selected shoe to make sure that you’re comfortable with your running shoe. This service demands no additional fees when you purchase one of their shoes. I wish I could have that when I decide to get back to my sports. People don't just think you're happy - they know you're happy. And it's true. You are one of the happiest people around. You may or may not have a lot to be happy for, but that's irrelevant. You make sure you're happy no matter what. You know how to prioritize in your life. You put yourself and your relationships first. By knowing what truly makes you content, you are able to stay positive. You bring a lot of happiness into other people's lives. Want to know what they think about you? Well try this quiz and let's see what people think of you. I'd like to share what we had last January 1 when we had our swimming in Pansol, Calamba, Laguna. The ministers contributed for two dishes for their lunch together and this is one of the two recipes. My Mom don't do this almost raw food in our house but I really like it so I watched while one of my co-sisters in the church do this Kilawing Bangus (Raw Milkfish cooked in vinegar for my English readers). To have this (1) you need milkfish fillet cut into cubes and soaked in vinegar to cook the meat no need to put fire just set aside. Then (2) mix small cuts of ginger, tomatoes, onions, garlic, pinch of sat, dash of pepper, small chili pepper (optional) and MSG (optional). 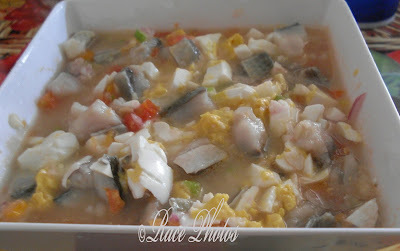 After the milkfish turned pale from soaking in vinegar it's considered as cooked already and you can mix it with the spices' mixture done in step 2. 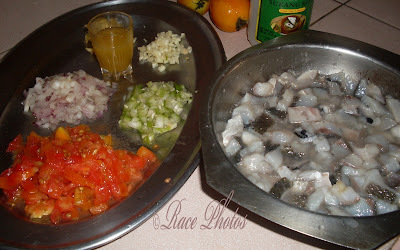 Pour vinegar to the final mixture, taste it for additional salt or vinegar then it's all ready for picnic lol! 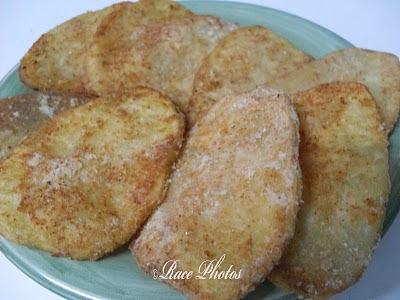 Have done it myself in our home and will post my own version of this with salted eggs! My cousin resigned from her job in the city and decided to put up a small business in our hometown province. She’s a licensed engineer and very dedicated to her profession but she suddenly longed for a different career path close to her family. She was living with us in one of our upper rooms for the last several years and she only comes home twice a month. She’s been with her employer for so many years but when the company changed management she decided not to continue with the new one. She has many plans for her career but decided to start a small meat products’ business while waiting for her plans to materialize. When she finally arranged her early retirement she search for moving company that accepts long distance travel like cross country movers to help her transfer her appliances, documents and all her things from our place to their house in the province. 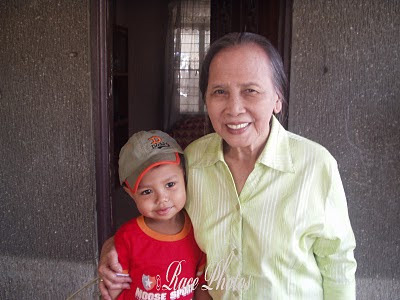 It was her friends in the province that finally helped her arrange and transfer all her belongings. Now she’s settled in her hometown with her family and with a booming business that she’s managing very well.